When he meets Jacinda Williams, an activist lawyer researching this new system, Keelan is more determined than ever to slim down. But Keelan discovers losing weight is more difficult than it seems, especially when he also has to fight against a ridiculous bureaucracy and policy wonks with hidden agendas. Can he succeed, and will the CRC-crossed lovers ever sit at love’s banquet together? 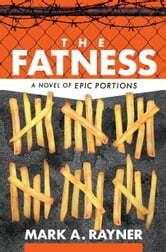 Mark Rayner's latest is a satirical what-if regarding society's lack of acceptance for obesity: "What if we used the excuse of elevated health care costs (in Canada, where health care is public and free) to imprison overweight people until they could lose the weight?" While this sounds really mean on the surface, and asks us to imagine a Canada we wouldn't recognize, the amazing cast of characters and witty dialogue actually made it into a funny romp of a novel. Peppered with interstitials of weight loss facts and myths, it is also effective at making us reconsider many of our prejudices regarding weight. I'm sure many people will identify with the struggles of these characters and laugh despite themselves. Not to mention this novel is the return of Rayner's beloved Dr. Maximillian Tundra and the fictional town of Landon, Ontario. For some reason, this needless duplication of my hometown always makes me smile. Really enjoyable read. Obese. Fat. Overweight, they all mean the same thing, and this story by Rayner brings the overweight into a new and large light. People being forced into joining Calorie Reduction Centre (CRC). If you're fat, that's where you go. Rayner brings humor and lightness into this condition where people are judge by what they weigh and how much or what they eat. And then, in between these chapters of the story, there are these "facts" about being overweight and once in a while, a quote brings it all back. "“A journey of a thousand miles begins with a single step.” ~Lao-tzu, The Way of Lao Tzu". Keelan is a great character, humorous, sarcastic and the main character who is just over that overweight mark. My favorite part is when he argues with a very skinny Brittany, about her being too thin and unhealthy. This book was a thinker and I enjoyed it very much. It’s a story of two halves, the first half being a poorly run government scheme that gives obese people with a BMI of over 30 two options: pay your own private health care or voluntarily enter a weight-loss centre until your BMI is below 30. The system is flawed and people rarely lose the weight needed to leave, and if they do – they’re back before you know it. 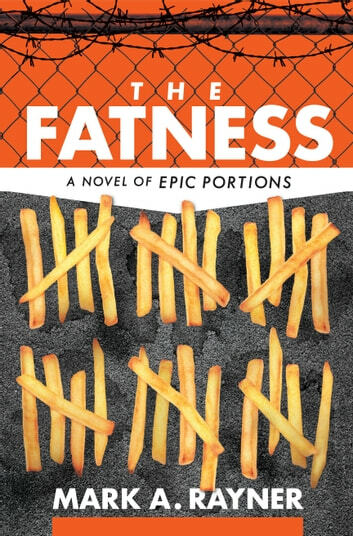 The second half of this book is what would happen if the scheme was sold to a major corporation who would then seek to make money out of the overweight people? Bad things. Lots of bad things. The book is funny and cleverly written so it never gets the opportunity to get too depressing, though it comes close a few times. It looks at the way people view and treat overweight people, how easy it is to dehumanise any group of people if you’re ‘helping them help themselves’ and generally how trying to control other people’s weight is a minefield of complications. Keelan is the main character, he’s a very thoughtful and funny man who has found himself stuck in the system. As a connoisseur of cake, I find it very easy to empathise with him and his battle with his weight –knowing that you need to change your eating habits doesn’t make it any easier to do. He wants to be free to lead his normal life again but instead he’s being forced on weird diets by people who don’t know what they’re talking about and denied personal dignity. The chapters alternate between the story and a funny representation of some of the facts and ‘alternative’ facts about dieting and weight loss. The science is constantly changing and is rarely as simple as you expect it to be. This book means a lot to me and while entertaining, it did hit a lot of nerves about health and how it’s acceptable to shame people about their weight in order to make money from their desire to change.